CHAMPAGNE I.V. 🌟🍾☔️: "@angielovesbambi ❤️"
CHAMPAGNE I.V. 🌟🍾☔️: "RT @angielovesbambi: I’m in love w/ @ChampagneDrip"
CHAMPAGNE I.V. 🌟🍾☔️: "@Conrank @LuzcidMusic @peekaboobeats Focaaaaaal BEs 😂"
By the Summer of 2014, Pool came to the realization that he had pushed the SPL project to its sonic boundaries and in order to evolve musically, he would need a new project to explore lighter textures and richer melodies. Rooted in jungle and bass music and built around elements of blippy 8-bit sounds, arpeggios, and lush 80s synths, Champagne Drip launched as a decidedly tropical and uplifting sounding project. 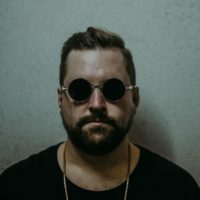 Operating at first in anonymity, Champagne Drip made a big splash thru the release of official remixes of Bassnectar (Amorphous Music) and Elliphant (Mad Decent). Shortly thereafter, he released his debut EP “Radio Bikini” on Mad Decent in September of 2014. Over the first year of the project’s history, press outlets were fascinated with the unique sound, but also with uncovering the identity of the secretive producer behind the music. “Radio Bikini” was subsequently remixed by electronic upstarts Big Wild, Lazerdisk, Mayhem, and Son of Kick and released in the Spring of 2015 as “Remix Bikini”. In the Fall of 2015, Champagne Drip released his 2nd EP for Mad Decent, “Journey Into The Champagne Sea”. Whereas his first EP explored more overtly tropical overtones, “Journey” went into deeper and darker musical territory. 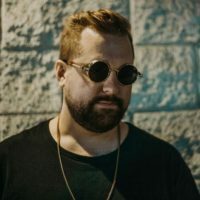 After spending one full year refining his sound in the studio, he finally revealed himself as the former SPL in 2016; performing across the US at such festivals as Mysteryland, WTFest?, Imagine, Enchanted Forest, and Lights All Night. Building up anticipation for his next original recordings, Champagne Drip released the stand alone single “Open Your Eyes”, which was featured on the official Bernie Sanders Presidential campaign fundraising compilation “Rave4Bernie”. Official remixes for Grandtheft (Mad Decent), Cardinox (Warner Brothers), and Dillon Francis & NGHTMRE (Mad Decent) followed. Champagne Drip capped off an already busy 2016 with the release of two new EPs; “Poseidon” via Quality Goods Records and “Of Course I Still Love You” via Saturate Records. Official remixes for Zeds Dead & Diplo, UZ, and DAWN all saw early 2017 releases. Champagne Drip is set to have his biggest year yet in 2017, with multiple EPs scheduled for release on Deadbeats Records as well as forthcoming remixes for 12th Planet and Mayhem, which are due for Summer releases.